Oh wow, did anyone just get chills thinking about that? 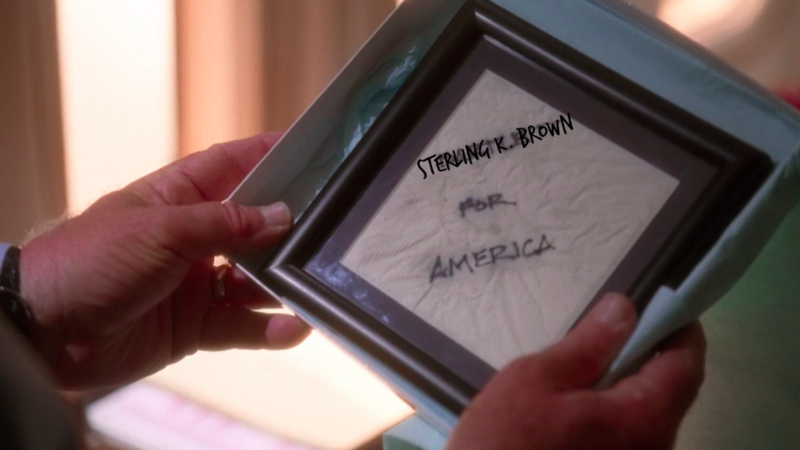 Obviously it wouldn’t actually *be* Sterling K. Brown, the actor, as the president of the free world, but Sorkin wants Brown to play the president and try and show me a better political idea. I’ll wait. Sorkin — who created NBC’s beloved and critically acclaimed West Wing, and served as showrunner for the first four seasons before departing the series — has long been toying with the idea of rebooting the drama. NBC has actually already approached him about it, and according to a new Hollywood Reporter profile, he’s got a standing offer to do so should a great idea ever come to him. Just saying, the idea is here, and it involves President Brown. When asked about what a reboot of the series would look like, Sorkin has mostly all of it figured out — including how to bring Martin Sheen, who played President Bartlet, back into the Oval Office. "[The show would have] Sterling K. Brown as the president, and there's some kind of jam, an emergency, a very delicate situation involving the threat of war or something," Sorkin explains. "Bartlet, long since retired, is consulted in the way that Bill Clinton used to consult with Nixon." If that isn’t a beautiful presidential partnership, we’re not sure what is. However, Sorkin isn’t sure yet how characters like C.J Cregg (played by Allison Janney) and Josh Lyman (played by Bradley Whitford) would come back to the White House, but hey, there’s time to think about that. And yes, Brown is currently starring on NBC’s This Is Us…but once upon a time The West Wing was an NBC show. So surely NBC can figure out a way share their Emmy-winning actor between two prestigious dramas, right? Right. Come on, NBC, the world needs this.